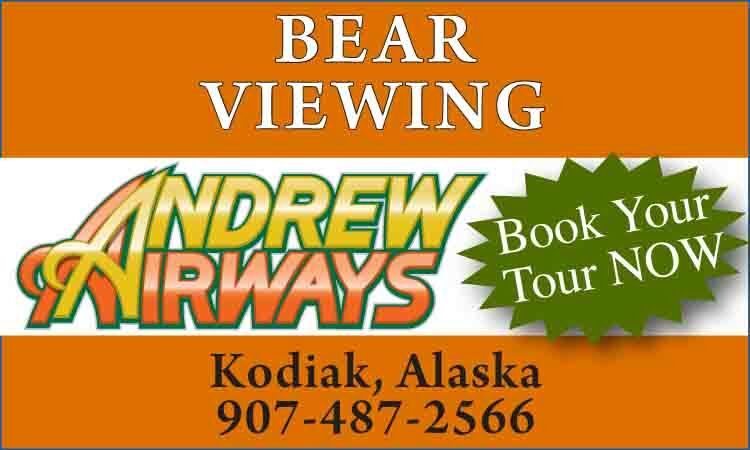 Location: Sterling Highway 1; 100 miles south of Anchorage, 45 miles north of Seward; 40 miles east of Soldotna. Population: 296. Cooper Landing Chamber of Commerce and Visitors Bureau, log cabin at Mile 47.6 Sterling Highway; Phone: (907) 595-8888; Email: info@cooperlandingchamber.com. Conveniently located in the middle of the Kenai Peninsula, Cooper Landing is nestled in the majestic Kenai Mountains along the beautiful turquoise waters of Kenai Lake and the Upper Kenai River. These waters are uniquely tinted blue green by suspended ultra-fine glacial silt. Surrounded by the Chugach National Forest and the Kenai National Wildlife Refuge, Cooper Landing is a favorite outdoor recreation destination. The area’s unique convergence of scenic mountains, rivers, well-maintained and marked hiking trails, spectacular sport fishing and plentiful wildlife provides for a diverse array of outdoor recreation opportunities. Two showcase salmon streams converge at Cooper Landing, site of some of the best sport fishing in the world. Readily accessible by road, these rivers provide anglers with some of Alaska’s finest yet very affordable sport fishing opportunities. 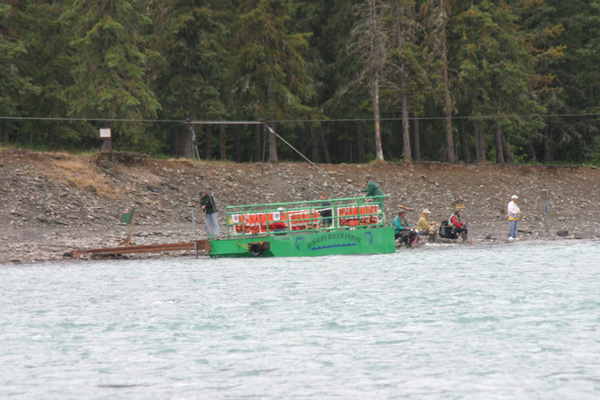 The US Fish and Wildlife’s Russian River Ferry and the US Forest Service’s Russian River Campground connect bank-fishing anglers with the most productive sockeye (red) salmon sport fishery to be found anywhere. The gin-clear Russian River is one of the few streams in all of North America where sockeye are easily caught with artificial flies. The Russian River includes two contrasting locales; the infamous crowds of the “Combat Zone” as well as the quieter, scenic stretches of water upstream near the Russian River Falls, site of leaping salmon. The Upper Russian River, between Lower Russian Lake and Upper Russian Lake, is closed to salmon fishing but is host to an excellent rainbow trout fishery where anglers are more apt to see a bear than another angler. 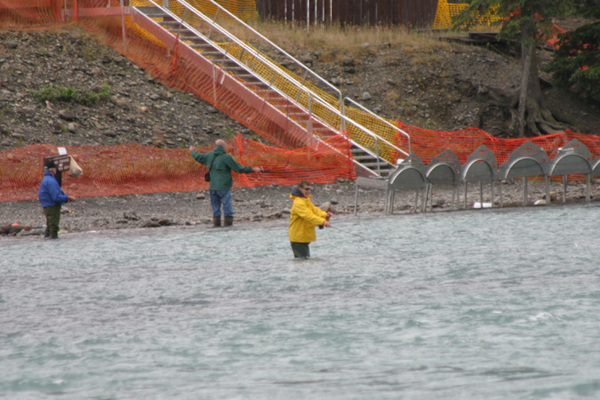 The Upper Kenai River is also a spawning ground for chinook (king) salmon so any that are hooked must be released immediately. Feisty 5-15 pound coho (silver) salmon also migrate through the area in August and September. Even numbered years see the arrival of millions of pink (humpack) salmon for a three-week run. The Kenai and Russian Rivers collectively contain a trophy catch and release rainbow trout fishery that many consider Alaska’s finest road accessible angling opportunity. Arctic char are also abundantly available and these fish grow to over 10 pounds and 30 inches in length. An angler on foot fishing from the bank can catch trophy sized rainbows and char, but angling odds increase dramatically if you are able to float the river in a drift boat. An experienced array of drift boat guides is based in the area. They typically focus on rainbows and char, but can also cater to those who seek sockeye or silver salmon. All guide services offer full day charters while a select number also offer two-day trips. Drift boats are typically launched from either the Sportsman’s Lodge Boat Launch at the Russian River Ferry Campground (Mile 54.8) or the Cooper Landing State Recreation Site boat launch and day use area at Mile 48, adjacent to the Kenai River bridge at the outlet of Kenai Lake. Take the first access road south/downstream of the bridge to the parking area. The 5-acre site has a limited amount of space available for bank fishing, with handicap access to the boat launch, toilets and water along a 250-foot boardwalk featuring wildlife viewing areas, telescopes and interpretive displays. There is a $5.00 fee for launch or daily parking. The last takeout spot before heading downstream through the rapids of Kenai Canyon for the final six river miles to Skilak Lake is Jim’s Landing, located at the east end of Skilak Lake Road. Cooper Landing hosts the Kenai River Driftboat Regatta to kick off the fishing season, held either the last weekend in May or the first in June. The two-man drift boat race to the Sportsman’s Lodge boat launch begins about noon in front of Eagle’s Landing and registration takes place at the Kenai River Bridge in the center of town. 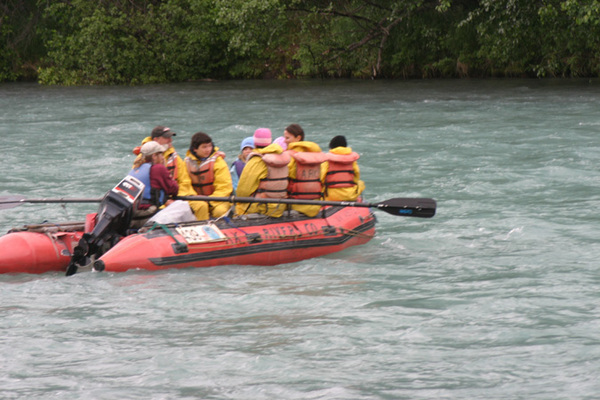 A good place to see the race is from the pullout across the river from Kenai Princess Wilderness Lodge as the boats come through the Shellhorn rapids. An awards ceremony and chili cook-off for one and all is held at the community hall pavilion after the race. The region’s only trail-accessible Arctic grayling sport fishery is located at Crescent Lake. Hikers and mountain bikers can reach this beautiful crystal clear sub-alpine lake along a 6-mile trail that starts at the Crescent Creek Campground (Mile 3.4 of Quartz Creek Road). Be alert for bears that frequent this area. Spectacular scenery and wildlife viewing opportunities abound in the area. 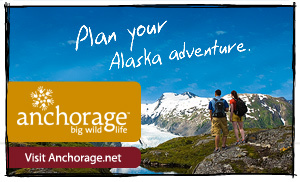 The Kenai Mountains are home to eagles, mountain goats, Dall sheep, brown and black bear, moose, wolf and caribou. The mountainsides immediately to the north of town offer some of the best Dall sheep viewing in the world with the area set aside by President Teddy Roosevelt in 1904. Many elect to view this beautiful backdrop during a scenic raft trip along the Upper Kenai River’s spirited waters. 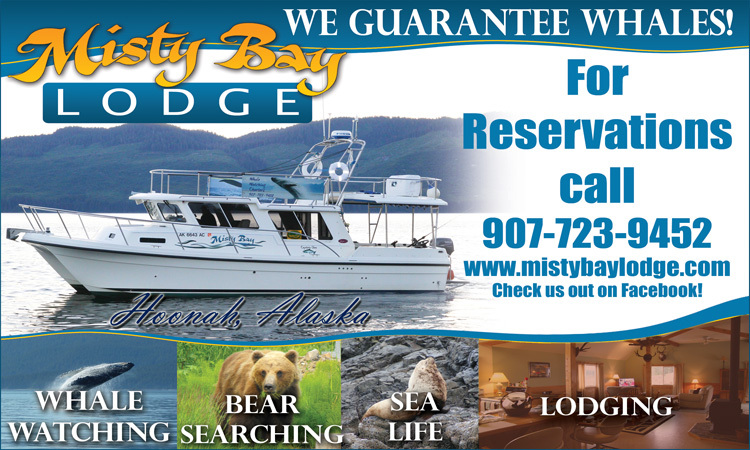 Guided 2-3 hour trips, as well as 7+ hour trips with an on-shore gourmet lunch through the Kenai Canyon’s Class III waters to pristine Skilak Lake are available. The area features one of the most extensive systems of maintained hiking trails in Alaska. The picturesque 100-foot high rim of the Kenai Canyon is reached along an easy 1/2-mile walk from the Upper Kenai Trailhead parking lot (2/3 of a mile from the east end of Skilak Lake Road). Berry picking can be good in this area during the late summer. The Resurrection Creek and Russian Lakes Trails connect at Milepost 53.1 and are part of the National Historic Trail System. Gold miners used the trail in the 1890s to travel roughly 72 miles from Seward to the gold fields near Hope, Alaska. Russian River Falls is one of Alaska’s more easily accessible and dramatic venues to view and photograph leaping sockeye, coho and king salmon doggedly powering their way through the chasm’s series of falls and pools to their spawning grounds. The elevated viewing platform at the falls is reached along a groomed gravel 2.4-mile walk along the Russian River Campground’s (Milepost 52.3) Russian Lakes Trail. This trail continues on to Lower and Upper Russian Lakes enroute to the historic trail’s end in Seward. Be on the lookout for both brown and black bears foraging for salmon. More hardy hikers can select a day trip 4.5-mile hike along the Resurrection Creek Trail (Milepost 53.1) to Juneau Falls or a hike to view the spectacular above-tree-line vistas of the Skyline Trail (Milepost 61.4) which follows over six miles of ridgeline into the Mystery Mountains. Horseback riding tours (2-hour, 2-day and full day available) along trails that include an overlook of scenic Kenai Lake, kayak-touring trips along the lake’s shoreline and gold panning charters/tours on Cooper Creek (Milepost 50.5), Quartz Creek or Crescent Creek round out the area’s outdoor recreation excursion list. Popular winter activities include cross-country skiing, snow machining and ice fishing. The Cooper Landing Visitors Center is located at Mile 47.6 on the Sterling Highway, in a log cabin near the Kenai River boat launch, adjacent to the rest area on the southwest side of the bridge. There are public bathrooms, ample parking and great information on what to see and do in the Kenai. The Cooper Landing area has an extensive native Alaskan cultural history. The Kachemack Riverine tribe established fish camps along the Kenai and Russian Rivers confluence area from 2000 BC to 1000 AD, with the Dena’ina Athabascan Natives predominating from 1000 AD until about a century ago. Visitors can take an interpretive walking tour along 1200 feet of boardwalk through the forest featuring archaeological sites, Kenaitze history and traditional plant use at K’Beq (Footprints) Interpretive Site and their gift shop at Sterling Highway Milepost 52.4. Several pioneer-built lodges that mostly supported popular hunting expeditions were built over the first half of the 1900s. A few of the pioneers from this era still live in the area while some of the relics from this storied time in Alaska’s history are preserved and on display at the Cooper Landing Historical Society Museum, located at Mile 48.7 on the Sterling Highway. The museum is housed in two relocated historic buildings on the south shore of the Kenai River: the 1955 school house and Jack Lean’s late-1920s cabin, which has served as the Cooper Landing Post Office for the past 40 years. 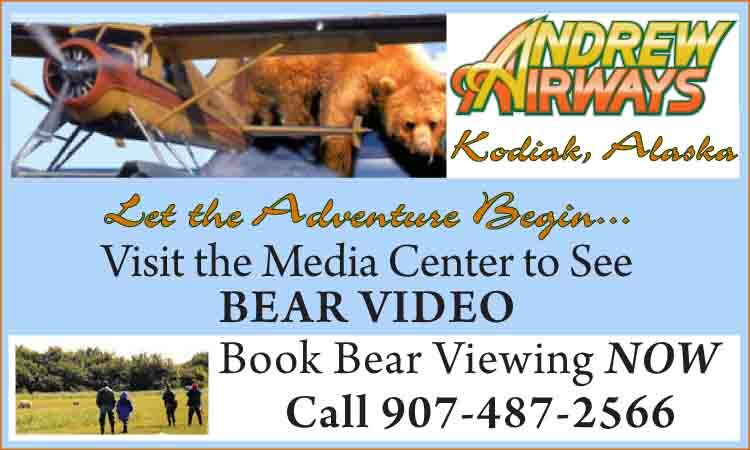 See an impressive 8-foot tall photograph of Cooper Landing and the Kenai River, and visit with Dead Bear Walking, the unique, fully-articulated skeleton of a 20-year-old brown bear. A 600-year-old Montague Island (Sitka) spruce slab with its age rings linked to various local and regional events presents a great photo opportunity. Other highlights include vintage medical instruments used between 1896 and 1980 by two area physicians, and the early transportation routes of Natives, miners and the railroads, including the starting point of the original Iditarod trail back when it was a critical mail and medical supply route. The Museum is also a great resource center for all the area has to offer and is free to visit. Between May 15 and Sept 15 it is open daily except Tuesdays from 1 to 5 PM. Contact the museum at 907-598-1042 or www.cooperlandingmuseum.com. The area is supported by a wide array of businesses, including full service lodges and resorts, motels, B&B lodging, gas stations, gift shops, guide services, espresso shops, restaurants and bars.